The Future For A Fair Society Is.. In June we stumbled onto something: we were able to machine-classify over 4000 startups in a unique way. Essentially, this enabled us to tell the story about the future of the legal industry. It’s all about Ambition. After analyzing and classifying a wide gamut of private companies we believe operate in the legal space, we noticed a couple of shifts. First, between 2010-2015 about 124 legal marketplaces were created and some managed to raise $355 million like LegalZoom, Avvo, Upcounsel, and RocketLawyer. It looked like the beginning of a golden age. But after 2016 only 83 marketplaces joined with overall $3.2 million in investments. In the same period after 2016, 121 startups in the legal sector claimed to employ predictive analytics, machine learning, natural language processing (NLP) or some type of artificial intelligence (A.I.). A similar effect appeared when looking for startups using Blockchain. More blockchain startups (26) appeared since 2016 than we have seen (25) in the past five years before 2015. These smart legal startups gathered $26 million (A.I.) and $21 million (Blockchain) in funding. Please note: we can only track disclosed investments and initial coin offerings (ICO). Seeing the creative ways one can raise funds nowadays, our numbers may be just the tip. A marketplace is an ambitious winner-take-all strategy in any market. Its success requires massive investment in service experience design or marketing to capture mindshare. Marketplaces also require many lawyers to sustain it and therefore we classify them as Law. If our algorithms sense startups use automation or prediction to reduce the need for lawyers, we classify it as LegalTech. If we need to hire LegalTech to help manage risks, RegTech is the Do-it-yourself (DIY) approach. Startups operating a RiskTech, Fintech, WealthTech or Tax business heavily rely on legal as a component to operate. They are developing a form of LegalTech Lite to cope. 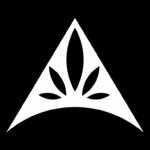 Health products need HIPAA and Cannabis operators face a slew of competing regulations. Basically, any business accepting payment will encounter fraud so they need to know their customers. And anyone going into business first needs to become bonafide. Payment processor Stripe raised $440m to grow their business by getting customers onboard fast. Apparently, it doesn’t want to rely on any current legal service construct, like law firms or marketplaces, to scale their growth. Therefore, they build Stripe Atlas to process incorporating companies just as fast as it’s able to process their payments. Hence startups offering compliance and security as an integral or stand-alone part of a product are being rewarded by investors. As of September 2017, Legalpioneer tracked about $13 billion in funding and 10 billion (76%) went to RegTech startups. In summarizing: since 2016, Law went from $355 million to $3.2 million while the total of Smart LegalTech startups received $47 million (57%) of funding with just 147 (15%) share of startups. 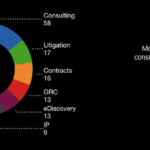 In that same period, 26 Regtech startups with Blockchain captured $329 million and 42 AI Regtech startups received $72 million to gobble up all high-volume legal work. It’s almost an unfair fight for legal industry incumbents: at the top, high-value work can be automated by smart LegalTech. At the bottom, better funded and equipped companies are processing it away from the legal market. In the middle, legal services are commoditized by marketplaces and legal spend analytics startups are stabilizing the prices. This shift isn’t just to free up lawyers for higher value work there are trained for, rather it’s a shift towards higher value work they may not be equipped to handle. So if the traditional legal industry wants to survive, it has to look at the bigger picture, engage a wider audience and show the ambition to redesign itself. Here’s one that blew me away: a futarchy government (Wikipedia) is a society without legislation. Instead, governments run on economic policies coded in smart contracts and executed on the blockchain. Now before you ask me about my prescriptions, keep in mind: someone is actually building this and they got $12.5 million to succeed. Remember, while LegalTech looks at AI and Blockchain as a hammer looking for nails, Regtech already poured both technologies into the foundation of their houses. Houses with no windows we all will reside in. Houses anyone can break into as the scale of Equifax breach revealed. The future of a well-balanced and safe society is to ensure it’s foundations are fair and the question is: who engineers that? The mission of Legalpioneer is to figure out legal’s future so we created a couple of apps to achieve our goal. 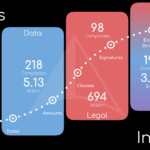 Legalpioneer Status app is updated daily with fresh metrics on the state of LegalTech and Regtech. We are still tweaking the algorithms on Legalpioneer Ambition but feel free to test drive it. To see this story come alive and visualized, play around with Legalpioneer Where. Check out the video below and see how you can run your own analysis in areas of interest. Wondering something or have a suggestion? Reach us on Twitter: @Legalpioneer, Linkedin or email: Raymond-at-Legalcomplex.com.